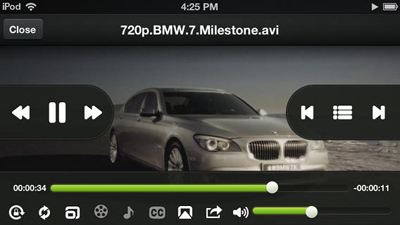 There are two ways for you to play FLV videos on iPhone. On one hand, you can download and install a third-party FLV player for iPhone on your device for playing FLV videos. On the other hand, you can take advantage of an FLV to iPhone converter to convert FLV to iPhone compatible video formats, and then transfer the converted results to your iPhone for smooth playback. Here I recommend top 3 FLV players for iPhone for directly playing FLV videos on iPhone. Please take note that these 3 media players are availble for other iDevices iPad and iPod. 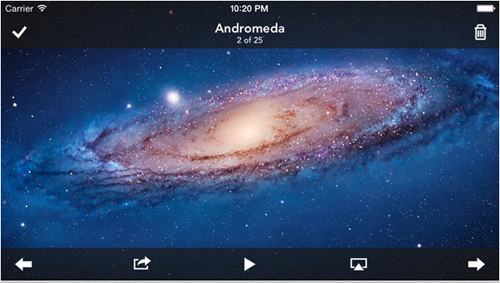 It has a media player for both audio and video files and will help to enhance media abilities of your iPad/iPhone/iPod. It is good for streaming both video and audio files online. OPlayer Lite has very an easy-to-use interface which is one of its significant improvements. viPlay Lite is a late video player entrant into the market. It makes it possible for one to play and watch videos using an iPad/iPhone/iPod with no requirements to convert. It is advantageous in that the user can download, stream or play any file format from the server. It’s user-friendly even for kids thanks to its unique interfaces. This is the best way to enjoy watching your videos using iPad/iPhone/iPod. You don’t require any effort to play your favorite video format with AVPlayerHD since it supports almost all. 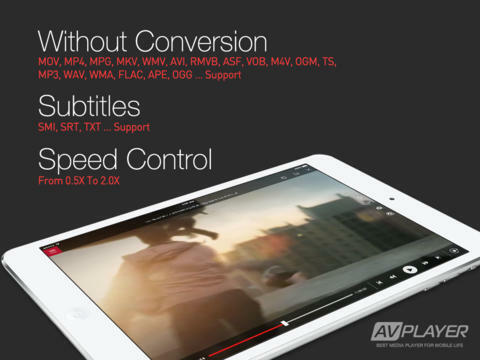 Likewise, you will not have to convert your videos before playing with AVPlayerHD which is highly beneficial. If you don’t want to download and install a third-party FLV player on your iPhone, you can make use of an FLV to iPhone converter for converting FLV to iPhone. 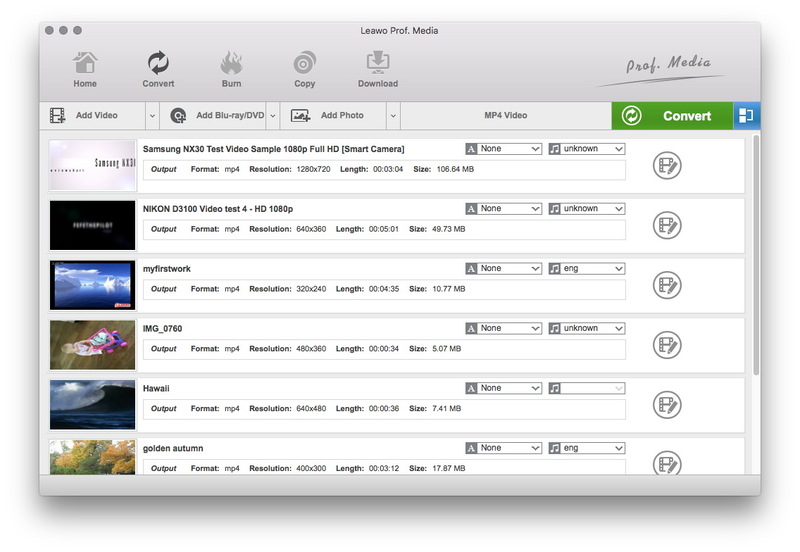 To convert FLV videos to iPhone on Mac, Leawo Video Converter for Mac is highly recommended. This Video Converter for Mac could act as professional Mac FLV to iPhone converter that offers simple, practical, quick and flawless Mac FLV video to iPhone conversions on Mac OS X 10.6 or later. 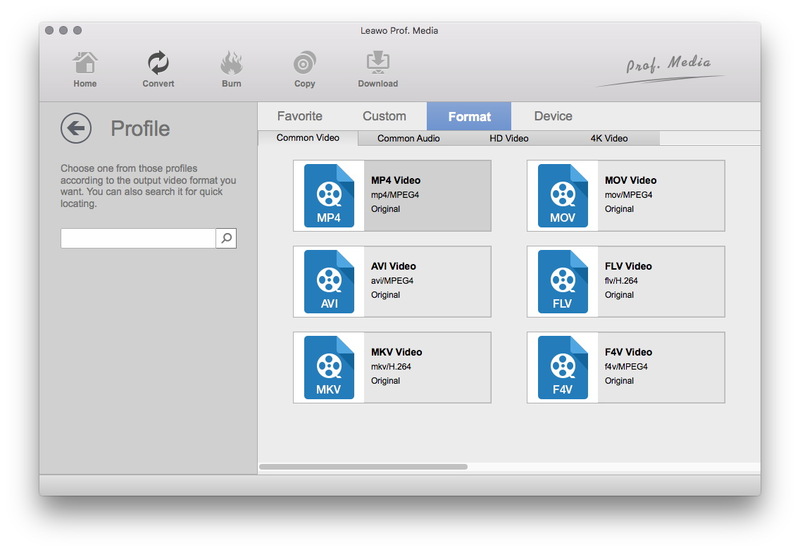 It is extremely easy to convert FLV video to iPhone MP4 or MOV within this Video Converter for Mac. In my mind, it is the best FLV to iPhone converter for Mac. 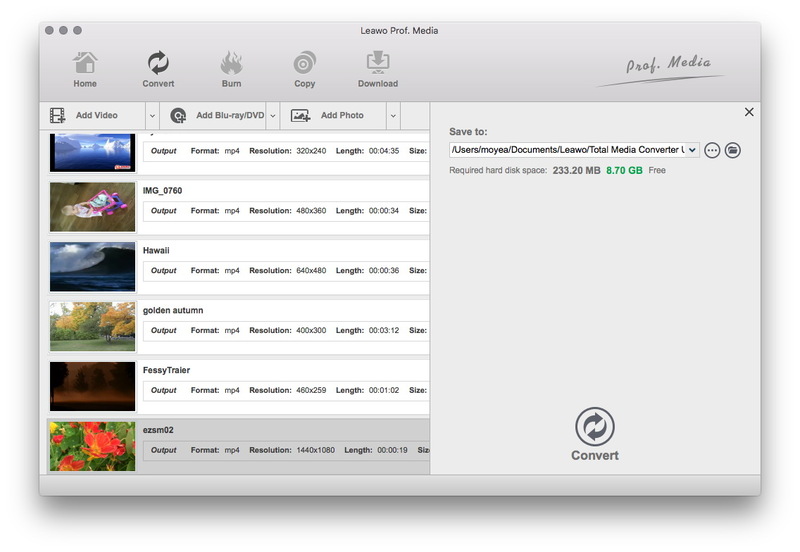 Download and install Leawo Video Converter for Mac on your computer, and follow the step-by-step guide below to convert FLV to iPhone compatible video format on Mac. 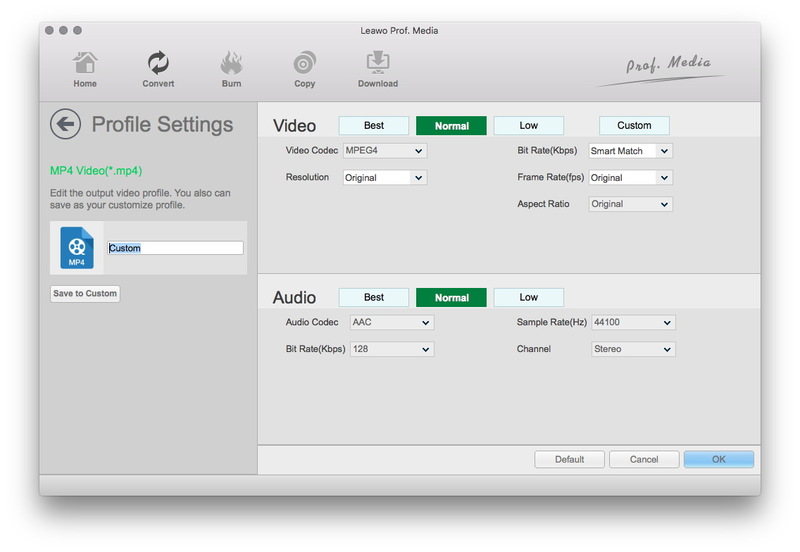 Kick off Leawo Video Converter for Mac to enter the main interface. Under the “Convert” module, click the “Add Video” button to browse and selct source FLV video files into this FLV to iPhone converter for Mac. You could get all information on the left processing list, import multiple FLV video files for batch FLV to iPhone conversion, edit loaded FLV video files, add 3D effect, etc. After importing source FLV files, click the drop-down box before the big green “Convert” button and then select “Change” option to enter the Profile window for output format setting. To convert FLV to iPhone, you need to open “Format > Common Video” group to select iPhone compatible video “MP4″ or “MOV” as output format, or you can directly choose an iPhone model from “Device > Apple” group. Optional: If you’re not satisfied with the video and audio parameters of preset output format like video codec, bit rate, aspect ratio, quality, frame rate, audio codec, audio quality, audio bit rate, sample rate and channel, you could reset them. After setting output format, re-open the drop-down box and then select “Edit” option to enter the Profile Settings panel. On the Profile Setting panel, you could freely set the parameters. When all the format settings are finished, save the settings and return to the main interface. Click the big green “Convert” button on the main interface to set output directory on the popup sidebar. You could open “Save to” box to browse desired folder as output directory. At last, start converting FLV to iPhone on Mac by clicking the bottom “Convert” button on the sidebar. After conversion, you could then transfer the converted result to iPhone via iTunes, or some data transferring programs like Leawo iTransfer. How to Convert MTS to iMovie for Editing? How to Convert and Import YouTube to Final Cut Pro on Mac for Editing? How to Convert YouTube Video to MP3 on Mac? How to Convert MPEG to Final Cut Pro on Mac for Importing? How to Convert AVCHD Files and Import AVCHD to Final Cut Pro on Mac? How to Convert and Import MPEG to iMovie on Mac?